Quality Cape Cod Lodging Accommodations at an Affordable Price in Beautiful Wellfleet. The Southfleet, located on outer Cape Cod, MA, in the town of Wellfleet, is a family owned and operated motel that has been providing Wellfleet’s finest lodging accommodations since 1983. 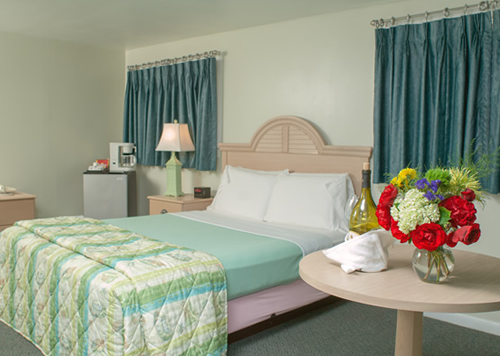 With over 50 years of experience in the Cape Cod motel business, the Sverid family offers an extremely convenient location with ready access to the best of what Wellfleet and the outer Cape Cod have to offer the vacation visitor. The Southfleet is situated directly across from the entrance to Marconi Beach, a part of the Cape Cod National Seashore Park at the lights, and is the closest Wellfleet motel spot to both ocean and bay side beaches. Whether your interest is the salt water, fresh water kettle ponds, golf, bike trails, walking trails, the Audubon Society Sanctuary, or the fishing wharfs of Provincetown, The Southfleet is that centrally located accommodations spot for easy access to everything Cape Cod has to offer its vacation visitors. Upon your arrival, you’ll find everything you need on site at the motel, including fresh-brewed morning coffee, a restaurant adjacent to the property, on-site complimentary bike rentals, a hot tub, a heated indoor swimming pool in a tropical setting, or sun and swim in our outdoor pool. You’ll also be able to take advantage of our guest laundry facilities, a picnic area with grills, a playground and swings for the children as well as a game room, ping pong and a basketball hoop. Visit the Cape Cod Dining Guide online for local restaurant information too. Make your Cape Cod lodging plans and reservations right here, and receive your motel reservation on the spot. Our online reservation system will enable you to book your room and receive your confirmation in minutes. The Southfleet caters to all of your needs to help make your vacation stay with us pleasant and worry-free. Cape Cod in the spring, summer or fall – – so much to do, so much to offer, and The Southfleet is the perfect spot for accessing all of it.